There’s a great new All Laundry Coupon out today. 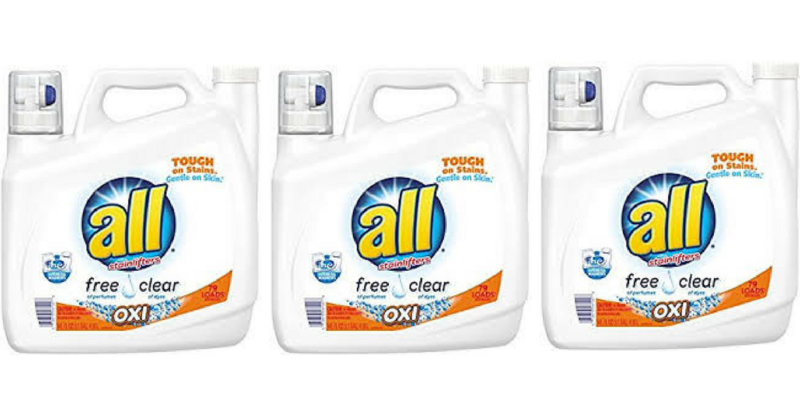 Starting today, you can use this coupon at Target to get All Free & Clear detergent for 4¢ per load. See the full Target ad for this week to grab more deals while you’re there. makes it $3.82 each or just 4¢ per load!